Today is the last day of October. Happy Halloween, everybody, and happy last-day-before-Nano. I’ve made sure the house is stocked with coffee and I’m caught up on homework and ahead on laundry. At the end of the day, I’ll be deleting the Facebook app off my phone for the month. What will you be doing to prepare? Tablo is having a contest where 5 nano writers can win a publishing gig. It requires sharing to the site, which I think means other people can read your words (*cue scary music! *) but I haven’t tried it yet, so you’ll have to check out the details and see what you think. If you find yourself at a loss during November, you can always check back here at the Inklings Blog for all kinds of great tips, tricks, thoughts, encouragement, and commiseration. If that’s not enough, check out some of these great books. 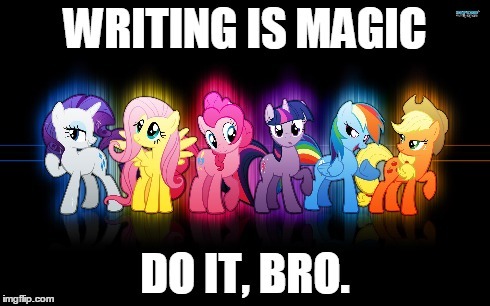 Finally, I think every one of you should have the power to generate your own encouragement memes. Go on, click it, I’ll wait. See that thing where it says “upload your own images”? With a google image search and your boundless imagination brain, possibilities are sure to get interesting. Until next time, sweet darlings. 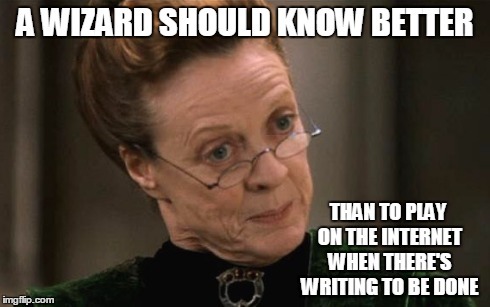 For the Harry Potter fans. 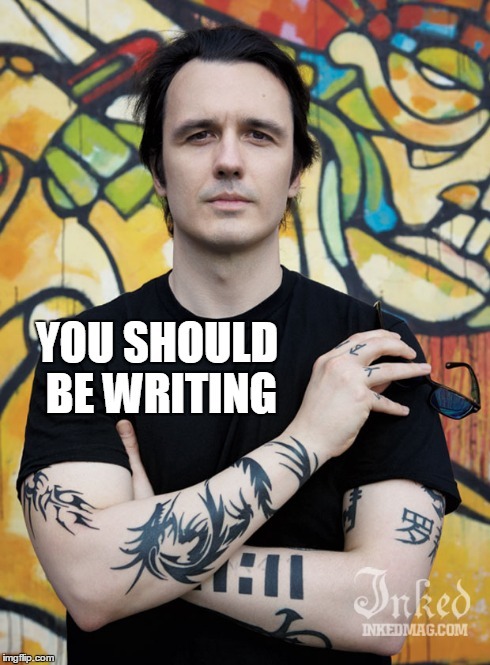 For me, since I’m a big geek for Damien Echols.